The great queen of rock turns 78 today. One of the world’s best selling artist of all time, she has also been referred to as The Queen of Rock ‘N’ Roll. 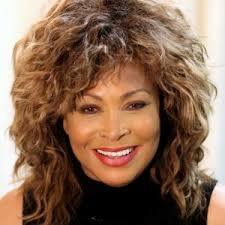 Tina Turner (born Anna Mae Bullock; November 26, 1939) is an American-born singer, songwriter, dancer, actress, and author. Considered the Queen of Rock and Roll, she released the single “Proud Mary” in 1971 and has received eleven Grammy Awards, collaborating with many other popular artists. Did you know> She picked cotton with her parents as sharecroppers, and moved in with her great-aunt after her parents divorced in 1978? She also worked as a nurse’s aide and began dreaming of becoming a nurse. Success followed with a string of notable hits credited to the duo, including “A foll in love”, “River Deep- Mountain High” (1966), “Proud Mary” (1971), and “Nutbush City” (1973), a song which she herself wrote. After her divorce from Ike Turner, she rebuilt her career through live performances. In the 1980s, Turner launched a major comeback with another string of hits, starting in late 1983 with the single “Let’s Stay together” followed by the 1984 release of her fifth solo album Private Dancer which became a worldwide success. The album contained the song “What’s love got to do with it”, which became Turner’s biggest hit and won four Grammy Awards including Record of the Year.